What it’s about: Recently I wanted to read something about food. I enjoy food writing the way some people enjoy chic lit. It’s light, it’s easy, and for me personally it’s very soothing. In particular, I wanted to read something about food in America. I didn’t want it to be political or historical, a la The Omnivore’s Dilemma or In Defense of Food. These could be spectacular books and I may very well read them some day, but it’s just not what I wanted. I also wanted it to be written by a woman, i.e. no Anthony Bourdain or Jeffrey Steingarten. Again, great men, great books, just not in the mood. Furthermore, I had one last requirement: no Paris. Look, I’ve eaten in Paris. It was delicious at first, but after so much bread and cheese I literally had to excise them from my diet for weeks because the rich food was making me ill. But my problem with Paris isn’t in the excess, it’s just in the expectedness of the subject. Does every culinary revelation have to happen in the City of Light? So Julie and Julia was out, as was My Life in France, another book I’ve considered picking up. These criteria in hand, I went to the internet: food, women, America. This year’s earlier foray into cookbook reading was successful and in the vein of what I was craving. I made a list with several intriguing options. I liked the look of Ruth Reichl’s Garlic and Sapphires, but thought it might not satisfy my craving for comfort since it’s about her life as a food critic in New York. Cookoff: Recipe Fever in America seemed fun and kitschy, but wasn’t available at the bookstore. Finally I settled on what I now know must be a classic, but which I came to merely by chance: Home Cooking: A Writer in the Kitchen by Laurie Colwin. This collection of essays penned in the 1970s describe Colwin’s various misadventures in the kitchen, as well as her advice to novice chefs and dinner party planners. It’s her wit that really shines through and I laughed aloud several times. In a chapter on stuffing she admits, “It was years before I could come out and say how much I hated stuffing. Everyone in the world but me was fired by an elemental urge to fill up bird cavities with this and that.” She has this to say of dinner parties: “It is a fact of life that people give dinner parties, and when they invite you, you have to turn around and invite them back. Often they retaliate by inviting you again and you must then extend another invitation. Back and forth you go, like Ping-Pong balls, and what you end up with is called social life.” She tells the story of mixing giant cans of tuna fish and beating the cores out of iceberg lettuce in college as she assembled tuna fish sandwiches for hungry undergrads. Or the tale of her tiny New York kitchen, in which she hosted many a dinner party even though she had to cook on a two-burner hot plate and wash the dishes in the bathtub. Essays like “How to Disguise Vegetables” or “Easy Cooking for Exhausted People” combines a story with recipes, which are often very simple and homey like Chicken with Chicken Glaze or Shepherd’s Pie. Not every recipe has that classic timelessness—she claims chicken salads have “a certain glamour” and that there’s “no such thing as a bad potato salad,” and I’d politely beg to differ on both counts. Still, it’s interesting to see how our eating habits have changed and also how they’ve evolved. Colwin mentions trying to get organic chickens and eggs on several counts, a difficult find at the time but now practically ubiquitous. 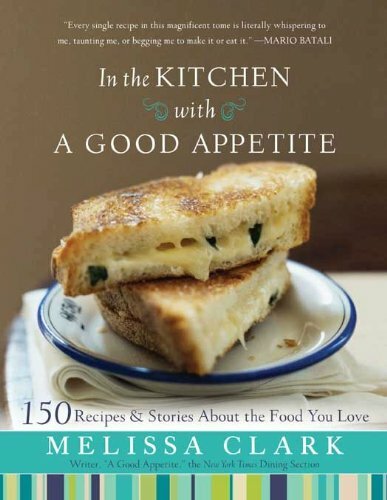 Part memoir, part cookbook, the book was what I wanted: homey, comforting, and amusing. Would I recommend? If you enjoy throwing dinner parties or witty women in the kitchen, Home Cooking will serve the dual purpose of taking you back to a different culinary era in America but also making you feel right at home.